Best Toy Airplanes for Children to Ride! Very Cool Riding Airplane Toys for Toddlers and Kids! These pedal airplanes for kids are too cool not to deserve a whole page just for them! They were made of steel and very beyond cool! 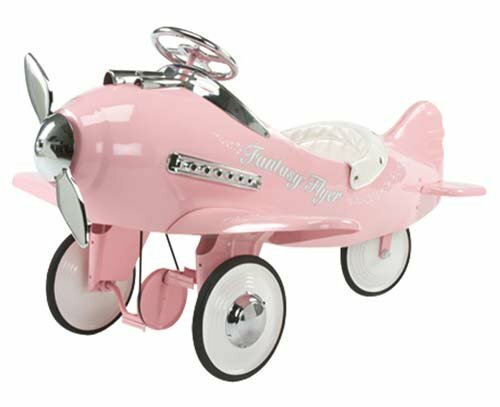 This is my favorite all steel pedal plane for little girls ages 2 and 3 up to 5 years old! It is so shiny and so gorgeous! Perfect cool Christmas gift idea! Can you imagine the look on her face when she sees her very own pink airplane?? Cute Foot to Floor Ride on Airplane Toy for Toddlers! Is that little boy having the time of his life ‘flying’ his new airplane or what? 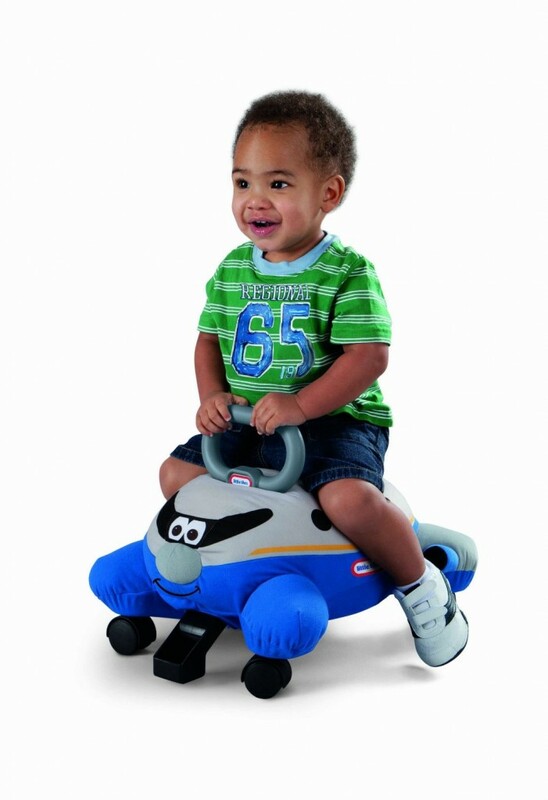 This adorable foot to floor riding airplane toy is perfect for toddlers! It is very easy and fun for them to ride! The rear wheel spins 360 degrees, so they can turn anywhere pretty fast! 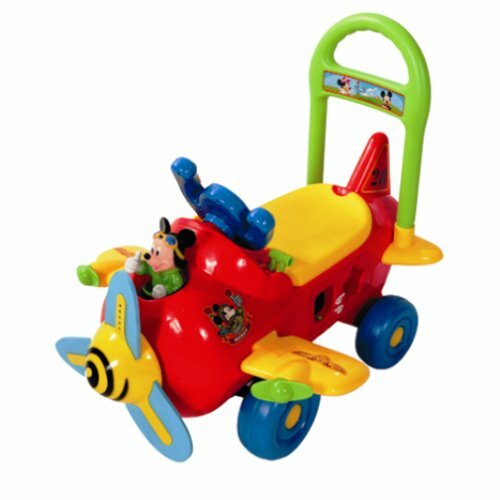 The size of the airplane is best suited for a 1 or 2 year old boy or girl and it is very durable, since it’s made from steel! 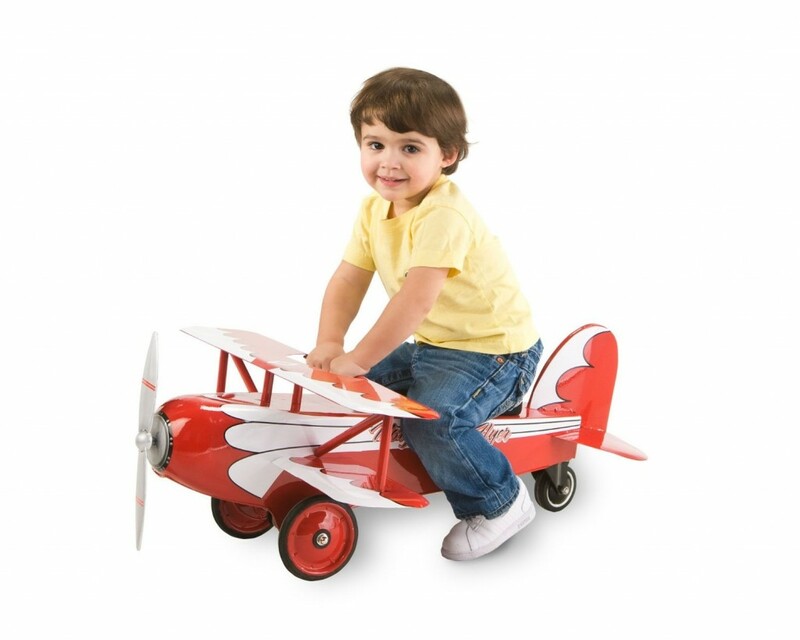 If your toddler is crazy about airplanes already, this is the perfect Christmas gift idea for him or her! Ok, I know this is not exactly an airplane, but I couldn’t resist! It is a riding rocket! How’s that for your future astronaut? 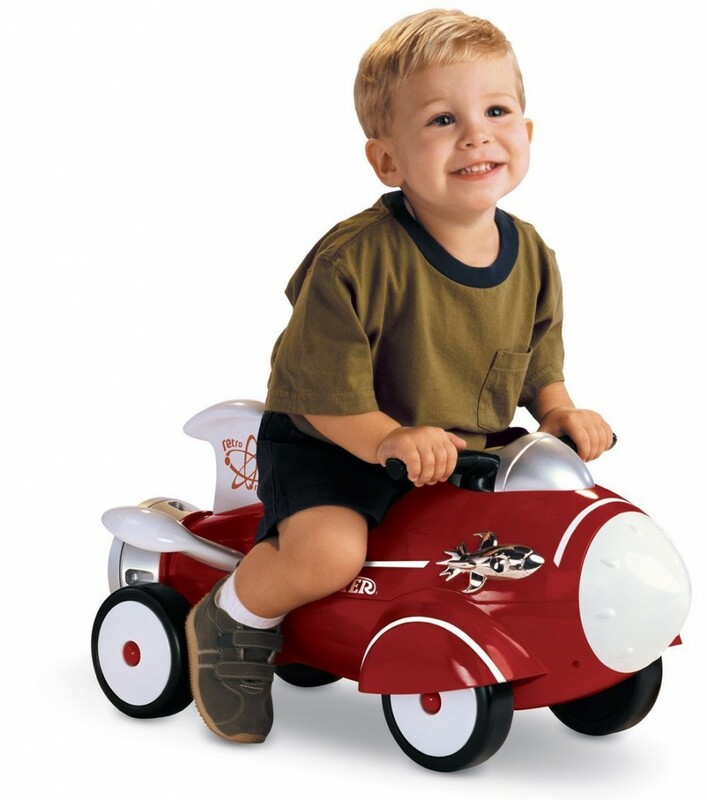 This cute retro ride-on rocket is the perfect size for toddlers as young as 10 months old up to 2 or 3 years old! At first they will probably push it with their hands until they understand that they can also ‘ride it’! Toddlers LOVE riding their cute red rocket all over the house! Now here comes the most fun part! It also makes cool ‘space’ sounds and it lights up! Adorable Ride on Toy Plane for 1 Year Old Kids! 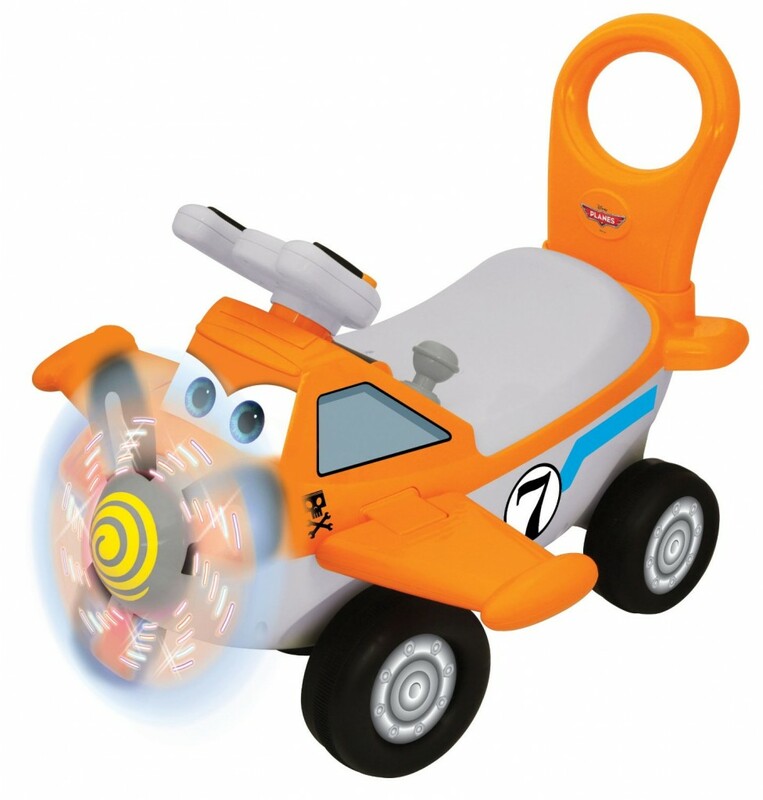 The cool orange plane riding toy for toddlers that plays cool songs! Your little is going to love to press all the cool buttons and discover that each one makes a different sound and turns on some cool flashing lights! As you can see the blades also spin, just like in a real airplane! Colorful Mickey Plane Ride-On Toy for Toddlers! Of all toy airplanes for toddlers around this Mickey plane is the cutest and most colorful! Mickey is a fun pilot too! He will talk and dance to the music while flying the plane! The propeller also works and the kids have a blast with this toy! 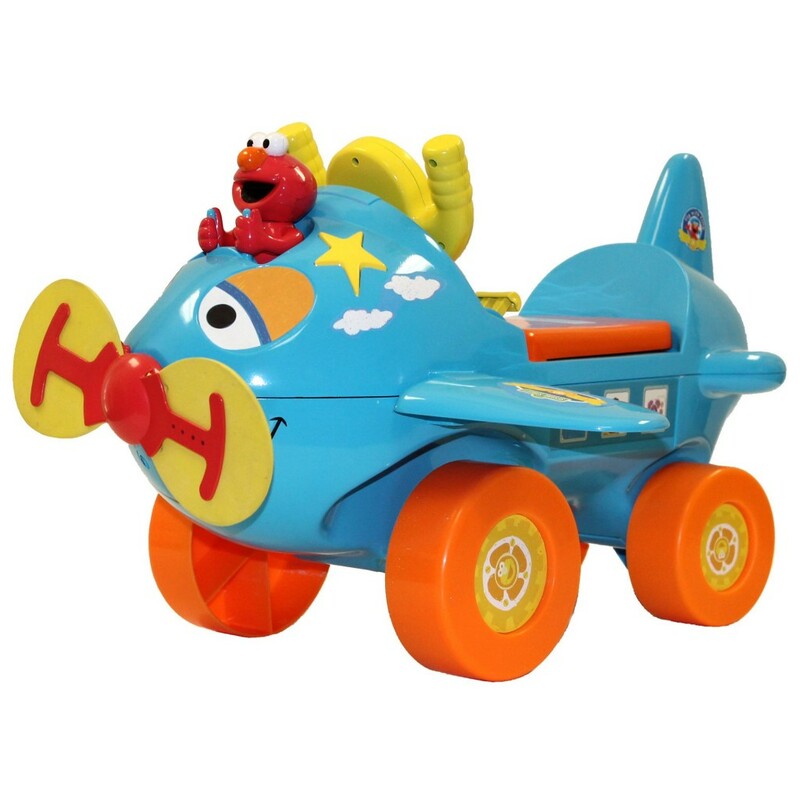 Sesame Street Fly with Elmo Activity Cool Ride-On Toy Plane! Look who came to fly his very own airplane too! Another ultra-fun airplane riding toy for 1 and 2 year old children! Elmo also ‘speaks’ and make fun sounds! The propeller also spins and it lights up! It’s a very sturdy toy plane! It is a pillow airplane to ride on! Have you ever seen anything more fun than this? look at that little boy ‘flying by’ on his new riding pillow plane! *I hope you enjoyed my selections of cute toy airplanes for toddlers from here! Here are more awesome and fun ride-on toys for toddlers!